Virts Family Farms Fall Fest Opens Sept 29th! Fun Includes Corn Maze, Pumpkin Picking, Straw Mound, Corn Pit and Much More! Fun for the Entire Family! See you There! Dennis and Linda Virts are the owners of Virts Family Farms. Their farm is nestled in the foothills of the Short Hill Mountains near Hillsboro, VA. 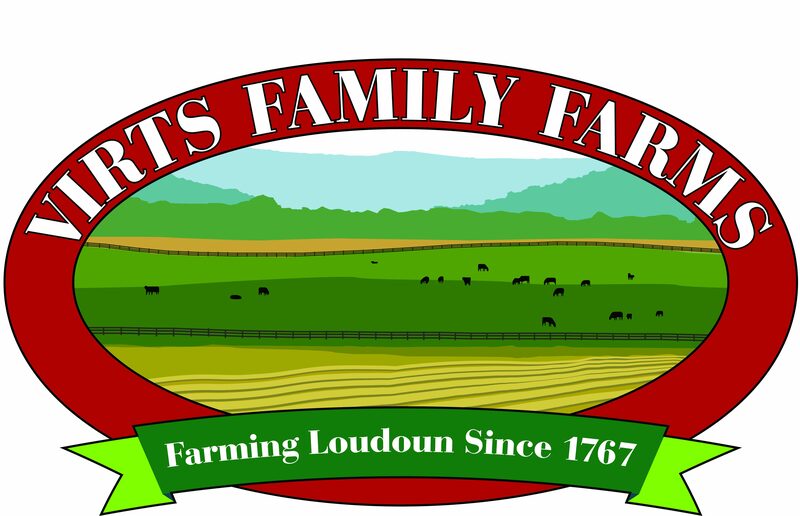 The Virts Family has recently opened a farmers market on the farm. The market is a timber- frame post and beam building, giving it a warm, country feeling. Their son Michael and his family live on the farm and raise their quality beef cattle. When you drive down Charlestown Pike you will often see Mike making hay or harvesting corn for his herd. You can buy the beef raised there on the farm in the farm market. Their son, Justin, is also actively working on the farm supporting both Michael and Dennis’s beef herds. Dennis and his family enjoy cattle farming and they have a full herd on their farm in Waterford, VA. Linda loves to garden, is a beekeeper and enjoys the country farm life. Dennis and Linda’s grand-kids are actively involved in the farming business too. They like to check the honey bees, help extract the honey and pick the veggies from the garden. Dennis’s brother, Donnie, runs the CEA Farms hydroponic greenhouse business located on the farm. Donnie sells lettuce, herbs, greens, and tomatoes year-round in the farm market. Be sure to stop in the market and sample an ice cream cone while relaxing on the porch and taking in the mountain view. Our farm market also sells local meats, eggs, produce and honey. The market offers many products for sale that are produced by local farmers including coffees, teas, granola, vinegars, sauces, pickles, fermented foods, peanuts and homemade baked goods. Stop by, relax and make yourself at home at Virts Family Farms.